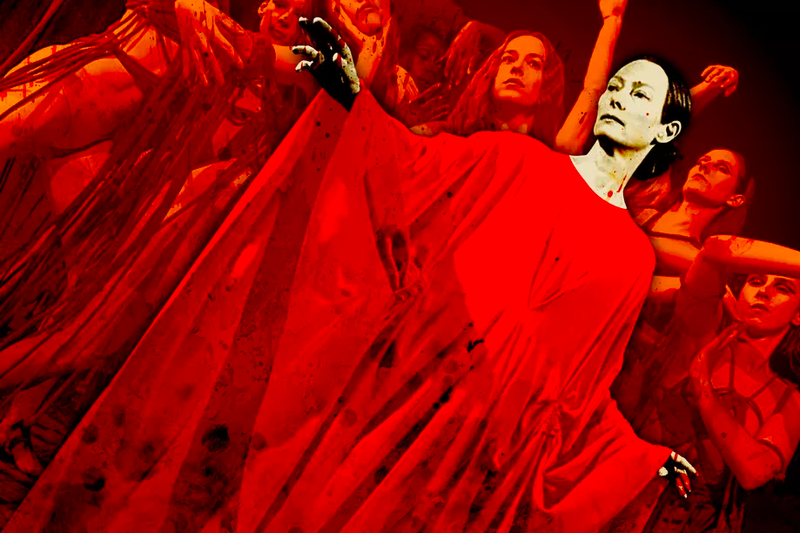 Earlier this year, Dakota Johnson made headlines when she told Ellemagazine that working on Luca Guadagnino’s remake of Suspiria “no lie, fucked [her] up so much that [she] had to go to therapy.” Just two weeks later, the audience at Amazon Studios’ CinemaCon panel in Las Vegas got to see why. Johnson took ballet lessons for six months while filming the third Fifty Shades film in Vancouver to prepare for the role of Susie Bannion—the ambitious newcomer to the mysterious Markos Dance Academy, originally played by Jessica Harper in Dario Argento’s 1977 original. In one scene, her character distorts her and other dancers’ bodies in more extreme and painful ways: Each of her dance movements twists the limbs of another dancer in another room beyond their literal breaking point.